Here we are again, now sitting in another departure Lounge, this one at Heathrow. Almost two weeks ago it was Dulles, with much to look forward to. Seems like yesterday … also a year ago. Tired and eager to get home, and frustrated I can’t stay longer. So little time, so much to see, do, read … etc. etc. Yes, yes, I promise I’ll get to the (not 5 but) 6 plays I got to see in London. But first, the music! Our first misguided but still “musical” adventure: A bus trip over to the far reaches of East London to go ukulele shopping. Seriously. Playing the uke is a return to my college years, when I first took it up, at about the same time I first went to London on my own. So somewhere in the back of my brain was the totally illogical and romantic notion that I had to have a new ukulele from London. Mind you, I already have one, and I certainly didn’t need to get another one here. I could have bought exactly the same model at home, or on the internet, for far less money. And to boot, “The largest Ukelele Store in the U.K.” (Hah!) … did not even offer VAT tax-back forms. Oh what the hell! The trip was a grand adventure; we had a great time watching London pass beneath the upper deck of the bus, and then exploring some back streets. And I’ve managed to fit in a little bit of strumming in the time since. Ah, but the music! The real music! 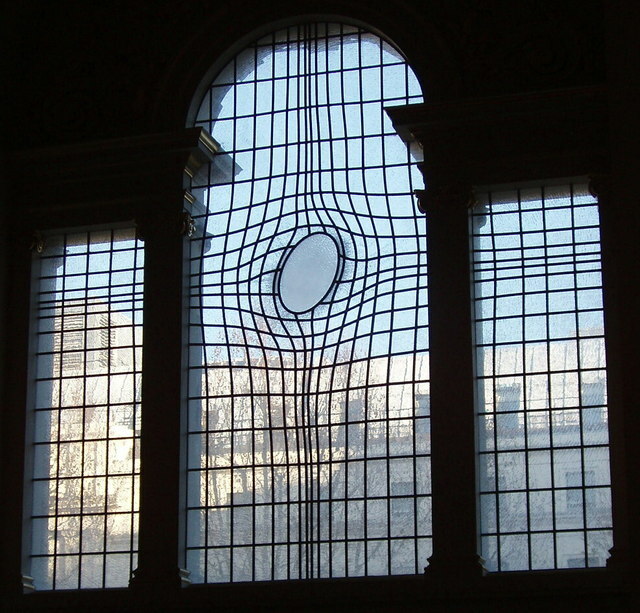 Almost every time Joan and I have been in London together, we’ve made a habit of a visit to St. Martin-in-the-Fields. So for our first night out after the jet lag wore off, even before we had theatre tickets, off we went to hear a concert by John Landor’s London Musical Arts Orchestra. It’s a beautiful church, of course, made even brighter by the recent 2-year remodeling project, which included the addition of a highly controversial abstract East window, and a new exterior glass-domed crypt entrance à la I. M. Pei’s pyramid at the Louvre. So-called after the patron saint of soldiers and beggars, among others, the full name of the church naturally conjures up all sorts of beautiful pastoral imagery. And indeed there once was a church on this same spot, in the fields, as early as the year 1222. Henry VIII replaced it in 1607, and the existing building was put up in 1726. (As a fan, I just thought I ought to know all that.) And as everybody already knows, it now rests in the heart of London on Trafalgar Square, very far from any fields. The program included long-time favorite, “Beethoven’s Fifth Symphony,” featuring a delightfully informative introductory lecture presentation by Mr. Landor, a part of his “Meet the Music” series. The highlight of the evening: the “Walk-About,” in which the full orchestra comes out into the aisles to play among the audience, who are asked to hold up the music for the musicians. We were especially delighted to find ourselves practically buried by the First Violins. As near as the internet and I can tell, Peer Gynt is Ibsen’s most oft-produced play, although rarely seen in our country. Apparently I first saw it in New York in 1960, with Fritz Weaver and Inga Swenson. And it was downtown at the Phoenix Theatre, which is now the Village East Cinema. That was even before I flunked out of college, subsequently read through the whole Ibsen repertoire (and a great deal else I had been ignoring), and went back to graduate. Funny: I remember absolutely nothing of the performance itself, other than where I sat in relation to the stage. Yet somehow it generated a lifelong fascination with Henrik Ibsen. The second presentation of the evening at St. Martin-in-the-Fields was Felix Mendelssohn’s beautiful “Nocturne,” and his renowned “Wedding March,” written to accompany the climactic scene in Shakespeare’s A Midsummer Night’s Dream. That one felt particularly appropriate since we were slated to see the Michael Grandage production of AMND at the end of this trip. “The Wedding March” of course had the traditional role in my own wedding, and Joan and I celebrated our honeymoon in part in London and Stratford-on-Avon ( … where we could well have seen the same play, but my memory fails on that point.) That was 48 years ago. Still: What goes around comes around. This entry was posted in Musings, Other Arts, Theatre and tagged A Midsummer Night's Dream, Beethoven’s Fifth Symphony, Edvard Grieg, Fritz Weaver, Henrik Ibsen, Inga Swenson, John Landor, Michael Grandage, New York’s Phoenix Theatre, Peer Gynt, Peer Gynt Suite, St. Martin-in-the-Fields, Wedding March. Bookmark the permalink. 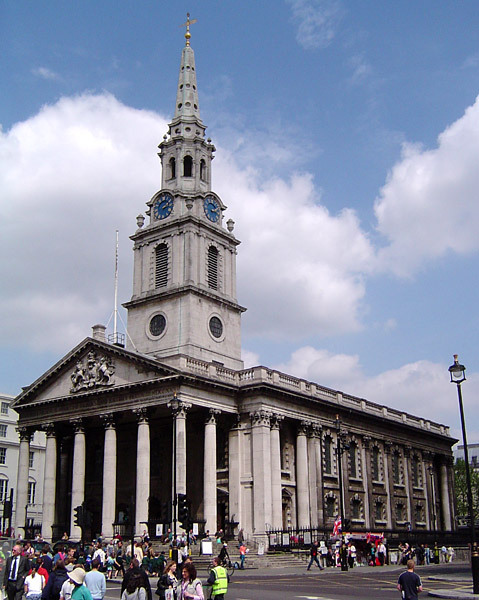 How wonderful to see St. Martin-in-the-Fields, beautiful in itself and admirable for the great music from the Academy and Neville Marriner, which I know (sniff) only from recordings. Oddly enough, their crypt tea room was one of my favorite spaces to gather a breath when I took students to London. The east window you show (thank you) does not immediately please me, but there must have been old cranks who were horrified at the innovations of Christopher Wren and Inigo Jones at the time. If you have walked east, you have perhaps run into the statue to Arthur Harris, a man I consider an unindicted war criminal — but I will rant about that somewhere other than your comment box. For all of its modern problems, London remains a fabulous city. If it only had the National Gallery, the British Museum, and the Donmar Warehouse, it would still be fabulous.